If your familiar with Fluxx then this edition will not be overly taxing. Like other versions of Fluxx the rules change as you play and you must collect Keepers to meet your goals. What sets this version apart is there are several cards that meta reference the different shows. For example, there is one action that lets you steal a keeper from another player provided you have another keeper from the same show. Our kids dig the different ways this version groups it’s goals, (Finn’s buddies, boys and girls, etc.) We like how the characters are a mix of old and new shows. It doesn’t matter what our son is doing, if we ask if he wants to play CN Fluxx, he is all about it. If you have kids (or love CN like we do), then this is an excellent and inexpensive addition to your collection. For years I was a Magic player. From time to time I would walk away, but inevitably I would return to it’s siren call. Until I discovered Legend of the Five Rings. Being in the CCG hobby I was aware of L5R, but never quite got it. The art and layout of many of the early cards turned me off. Two decks? What’s that about?! It wasn’t until I was introduced to the fiction that L5R really hit for me. I had picked up the L5R books for D&D of all things, and found a rich world with compelling characters and flavor filled history. This lead me to seek out the CCG and at least look into it. Right about then Gold Edition released, and was a terrific jumping on point. The cards featured new (and in my opinion more attractive) frames and a large meta story was just starting. I found a playgroup, picked up my first Crane deck (gotta love dueling), and it was over for me. I was smitten. I took an extended break from all other forms of gaming. I studied the top decks and thought of ways to beat them piloting my beloved Cranes. I LOVED that the players had such profound affect on the story at large. Many tournaments offered story prizes in addition to cash prizes… and players would SET BOUNTIES, often very large “gifts” to entice players who won to choose the bounty’s story choice. Stranger yet, more often than not players would REJECT these lucrative bounties in favor of their own story choices! Coming from the ultra competitive and “cash driven” MTG this both amazed and delighted me. I did well enough in my area and was a formidable opponent before long. I played through to the end of Diamond edition, the following Arc and end of the Meta story. Then life happened. I rejoined the military and though I sought out players I found none in the areas I was stationed. L5R took a back seat to other things and we grew apart. Fast forward several years to the release of Celestial Edition and War of Honor. What GORGEOUS new frames! Who were all of these new characters?! What happened to my Crane in the interim (in game) decades? Structured multiplayer?! Joy! I bought a starter for each clan and built decks for me to play with anyone who would play: my wife, unsuspecting friends, etc. I essentially created my own L5R LCG. A couple years later with the release of Emperor Edition I picked up a Starter box and after much trading leveraged in into a self contained L5R drafting cube. Admittedly I don’t get to play it often, but I still look in on L5R from time to time, if for no other reason than I love the fiction and the wonderful community of players. So that is my not quite review, but my declaration of love for Legend of the Five Rings. The game itself is incredibly rewarding and deep. The manufacturer revels in providing value to their loyal players. The ravenous fans are among the best and most welcoming for new players I have ever met. I cannot say enough good things about L5R. If you have any doubts whether the game might be for you please at least check out the fiction and see if the your interest is not at least piqued. Uncanny X-Men Dice Masters (UXM) is a compatible follow up the Avengers vs X-Men (AVX). The fact that UXM offers stand alone starters is great since the starters for AVX are almost impossible to find at retail, and almost certainly not at retail price. Even though the set focuses on the X-Men franchise there are still a number of non X-Men available, including several that aren’t reprints. There were several very powerful cards in AVX that seem to be run all the time in Organized Play (OP), but UXM released several answers to deal with them. All in all I’m quite pleased with UXM and look forward to further expansions, particularly D&D and Age of Ultron. This review is based solely off the base set, which is the only component of this game I own. For years gamers heard fans of Netrunner lament it’s passing and even had a MTG pro player attempt to purchase the license to revive it. It was nigh impossible to find product available to buy and when one did find cards they were not sealed and usually expensive. Fast Forward nearly 20 years to FFGs Release of Android: Netrunner, a modified version of the game released under license from WOTC. The game is well packaged and nicely produced, as has become expected of FFG. The game is based on the conflict between mega corporations (Corps)and street hackers (Runners). The game is mechanically asymmetrical. The players choose who will be the Runner and who will be the Corp. The Corp player plays Agendas which they have to protect in order to move them along, whereas the Runner must attempt to bypass the barriers protecting the Agendas so they can get to the crunchy goodness inside. There is a high learning curve for this game, and players who wish to be competitive must learn the nuances of playing both sides. As for the product distribution itself I take issue with FFG again releasing a “thinned” game. Players may use up to 3 of any given card to build a competitive deck, but there are certain cards (usually more powerful cards) that only have one copy in the base set. So any player that does so competitively must purchase upwards of 3 base sets to have all the cards wanted to build high end decks. While there is no requirement for a player to play competitively and it played fine by itself it still bothers me that FFG continues to do this with their LCGs. It fosters ill will with the players and creates a lot of waste in the extra cards players with multiple base sets get that they will not likely use. All in all I really want to enjoy the game, but it just didn’t sit quite right with me. I like the theme and there are a lot of players to find for pick up games. It is one of FFG’s top selling LCGs and receives a lot of support. Though the game might not be for me it doesn’t mean that it’s not for you. As always happy gaming! SMASH UP is a fun and original deck building game. The base game comes with 8 factions that are shuffled together, 2 per player, to form the oddest trope combinations, such as Pirate Aliens, or Wizard Dinosaurs. The cards are well made and the box has a plastic insert meant to sort the cards, including room for expansions. The game is easily expanded on, and thus far the extra factions we have played feel unique enough to be worth adding to the game. I will say that some of the factions feel more powerful than other, but the fact that we randomly assign the factions to each player has mitigated that some, and make for some fun randomness and forces players to try new things. We have a soft spot for Legos in our home, and when we saw that they were combining our love of bricks with our love of games we had little choice but to dive in. Before I get to far into the review it is important to look at the Lego games for their own merit. Sure, most of the games are fairly simplistic, but that is because the audience tends to be younger kids. I’m mainly glad Lego even made games, let alone a dungeon crawl. The components are top notch, the level design is fun, and as for modularity, it’s LEGO! The game almost begs to be re-skinned with more advanced rules, of which their are a lot available online. When you compare Heroica to other dungeon crawls it is fairly simple, but for our youngest it is just right. When compared to the other Lego games it is much more complex. Their are far more decisions to be made and the game is less linear than the other Lego games. This product description is for the largest of the Heroica sets. Each set can be played by itself but are fully compatible and the games include suggestions for combining more than one set. We are such fans of the sets that we picked them all up and combined with the Lord of the Rings set make very large dungeons with lots of character and monster options. Is this the deepest game on the market? Certainly not. Is it fun and approachable for young gamers? Absolutely. In my opinion that is the biggest draw of the game. I like to think of it as a bridge to more advanced games for my wee gamer. So when Lego picked up the license for the Tolkien Movie Verse my first reaction was: LEGO LORD OF THE RINGS VIDEO AND BOARD GAMES!!! I didn’t even know this was in the works when I saw it on the shelves of a local big box store. Naturally I had to pick it up. First- I LOVE that the board has a built in modularity. You don’t just take apart and reassemble the board, it has hinges that let you swivel certain sections. Second- The game is more than just memory. Each Hobbit Hole has TWO tiles inside, so the top one has to be collected before you can access the tile below it. Third- the goal of the game is NOT to have the most matches, it’s to collect the most Dwarves. SO if you find a Dwarf: good job, turn over, move on. If you find something ELSE though, you try to make a match. Each other sort of tile has a different action upon matching. The thing to remember is that none of the other players can see what you’ve found! Over the last several years Alderac has released several intro sets designed to get new players into the game. Often the problem with this was that the sets were so jam packed with good stuff they often didn’t get into the hands of new players and were usually picked up and torn through for the swag. Fast forward to War of Honor. Now, War of Honor was not directly intended for new players, however the high complexity level of standard Legend of the Five Rings was dialed back quite a bit to allow players unfamiliar with L5R to slip in much easier. The designers of the decks made a conscious effort to remove reactions, or abilities that can be played on opponents turns, to speed up game play and increase simplicity. They also purposely left out several other mechanics that are integral to the game, but can be daunting for new players to wrap their heads around such as duels, cavalry, and the Imperial Favor. War of Honor introduces an entire new way of tracking for victory. 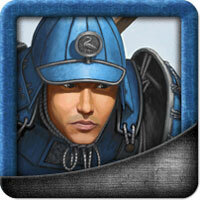 In Standard L5R players can win by military victory, honor victory, enlightenment, and dishonoring your opponent. WoH maintains all of these, but rather than continually tracking honor the created method in which on any given turn if you get enough honor or cause enough dishonor you move up one space on the honor/ dishonor track of the victory tracker respectively. This cuts down on some of book-keeping aspects of L5R while brilliantly allowing honor/ dishonor to coexist. I’ve heard some players complain about the Clans chosen to personify the different victory conditions, but I don’t think these complaints are valid. I’m traditionally a Crane player myself and in my mind Crane and honor victories are pretty much synonymous, but I completely understand Alderac’s decision to go with a different clan to keep that simplicity level high. War of Honor was primarily designed to address player’s long standing concerns about L5R multi-player, and it does so in fantastic form. The new method of victory is intuitive and well designed. The addition of the tiles really helped addressing the “pile on player X” factor you might see in other multi-player formats. In the end War of Honor is a fantastic value. If your new to L5R or even interested in the game at all this is a great affordable way to get a taste of how the game plays from several aspects. If your a veteran L5R player chances are you have already picked this up. If you haven’t then you are missing out. So Wizards of the Coast is a wholly owned subsidiary of Hasbro Ent., obviously a publicly traded company. One of their business models rely on scheduled obscelesence. SO it should be no wonder that they’d eventually decide that it was time to stop producing D&D 3.5 and move on. Fortunately for the rest of us Paizo decided that that simply would not do. When WotC created the D20 Open Game License they gave any publisher carte-blanche to create any D&D 3.x material the wanted to so long as they acknowledged the source of the original rules. Paizo use this foundation to create their own updated and, in my opinion, improved D&D 3.+ rules set. Gone are “dead” levels where players don’t get some sort of bonus. All classes are beefed up a bit, and further more nearly every class receives a number of customizing tweaks to make one’s Wizard distinct from other Wizards. Most importantly it took a rules set that might have otherwise slipped into obscurity gave it an invigorating shot in the arm. The franchise has grown to the point that Paizo has produced it’s own line of blind buy pre-painted miniatures as well as countless fantastic play aids and a monthly campaign that DMs can buy into and use as they see fit. The sort of support Paizo throws behind the Pathfinder franchise puts WotC support of D&D to shame, both in quality and usefulness. For anyone wanting to get into roleplaying enough cannot be said about Pathfinder. The Pathfinder Beginner Box is enough for several players to start playing and go through several levels before committing further. The additional stands, cutouts, and tokens are just (very delicious) icing on the cake. If you want to try to scratch to RPG fix Pathfinder should be your first stop along the way. We love Carcassonne in our household. Sometimes we’d play as a family, sometimes just my wife and I’d play. Either way we always had a great time playing. The components are high quality and rugged enough to easily weather dozens of plays. This game pretty much introduced meeple, which are now in some minds synonymous with games. Game play is new every time you shuffle the tiles and start a new game, or at least the layout is. It combines the randomness of a card deck with a highly modular board game. The instructions are clear enough that unindoctrinated players can approach it and pick it up with ease. The only thing that might give brand new players a pause is the whole thing with farmers on the same plot being wonky. Aside from that, the rest of the gaem is pretty straight forward. All in all I (we) love this game, and on a lazy afternoon we will often pull it out and enjoy some time together. There’s no reason those of you reading this can’t do the same, especially at the price point. In short, this game belongs in every collection. So we try to get together as a family to play games once a week or so, typically Ticket to Ride or Carcassonne. I recently picked this up and I cannot describe how impressed I am by this game. There are enough variables in LoWD to keep players on their toes every game. From the buildings laid out to Lords each game will not only give each player revised priorities each game, but a different playing field as well. The components are extremely high quality. The tokens are all heavy card stock or wood and the cards are all textured heavy duty. Topping it off though is the box insert that, unlike most games, is designed not just for storage, but to ease game play and setup. Anyone familiar with D&D’s Forgotten Realms will instantly recognize some of the characters and settings. For those of us without a lot of time in FR not knowing the theme will not hurt gameplay, and might in fact entice players to delve deeper into the world. This game is likely to replace our go to game. It has learned a great deal from it’s predecessors, seamlessly blending the solid mechanics of a euro with the rich theme and swag of an ameri-trash. I cannot recommend the game enough. I wanted to like Dominion…. I REALLY did…. it seemed like just about everyone in the gaming community was raving about it and I sooooo wanted to get me some of that… Alas, it was not to be. We gave it a try. We felt deflated. We gave it another, still no spark. From the fourth game on we wondered why we weren’t just playing something else. Admittedly, it may have been the way we played. It could have been the group. Maybe it was my mood. It just felt like we were all playing solitaire together. The theme was lackluster and the game could have been skinned with just about anything. the cards just FELT wrong after so many years of other card games. There are a lot of people who enjoy Dominion, and more power to them. I hope they have a blast every game. I’m just not one of them. The one thing I DID get from Dominion was to really look into a game before purchasing to make sure it might fit my style. Risk is Risk. There’s no way around it. You either enjoy it or you don’t. I like the revised edition much more than the original version because it allows for victory conditions other than “slog it out to the end” and it does away with the linear cards for re-enforcements, leading to players sitting on their cards. My suggestion is to try one of the many variants available. They take what might be a predictable game and in some cases turn it on it’s head. I own Lord of the Rings: Trilogy Edition Risk and Metal Gear Solid Risk, and each has it’s own unique take on the game. The board in LotR Risk is a radical departure from what experienced Risk players are used to and makes everyone rethink their strategy from turn one. The inclusion of leaders fortresses adds another strategic layer to the game that is very fresh. Best of all the game has a built in end. Every turn the ring marches to Mount Doom and aside from a few obstacles you can see about how much longer you have to implement your strategy. MGS Risk is a re-skin of the Revised Edition, but with several valuable inclusions. First you get to hire mercenaries, experienced warfighters that you can use to lead your armies. Second is the currency system, or Drebin points, that allows you to pay for your mercenaries as well as play specialty cards that can greatly impact the game. The last major inclusion is the addition of Outer Haven, an advanced submarine that is a 3 space territory that can move to any of the continents. In closing Risk is pretty much the same as ever (with some exception), but the many varieties make it fresh and thematic. I like to think of Risk as a deck of cards, just a basic construct that you can use to play any other number of more complex games. I’m looking forward to picking up Risk: Legacy and seeing just how far the core Risk game can be pushed. We often have people over to hang out and play games, and invariably we play Apples to Apples. We’ll describe it to new players and they’ll say “That sounds stupid,” but once they’ve played a few hands they’re always hooked. Game play is simple: The players take turns judging green cards. Each player also has a personal hand of red cards cards. Whoever is judging for the round draws a green card, says the word out loud (an adjective), and lays it down. Each other player then throws one of their red cards (nouns) face down. After each player has thrown a card the judge shuffles the cards (so as to avoid bias), and chooses which one they think best matches the green card played. First player to earn 5 green cards wins. The other aspect of Apples to Apples to remember is that you are ALWAYS trying to play to the judge as the game is entirely subjective. Knowing the people you are playing with and what their trump cards are will go a long way to winning. We have shelves and cabinets full of games in our household, but if you had to ask me which one I get the most out of, I’d have to answer Apples to Apples. Lets begin by saying I really enjoy this game. I love the idea that you can screw with the timestream so much that existence itself collapses. I enjoy that each player gets two paths to victory. The game play is simple enough that you can have a new player up and running pretty quickly. My experience however has been that you have to have an audience for Chrononauts. There are some games that you can just sit down with just about anyone. Chrononauts is simply not one of them. The biggest complaint I got was usually from non-gamers: “I just don’t get it”. This is in truth a fair criticism. The theme is great and the entire game is structured around it, but if a player isn’t into it they’re just not going to have a good time. I suppose this could really be said of any game, but for some reason Chrononauts is one of those games that’s either a hit or miss. For my two cents I like it and hope that you’ll enjoy it as well. I really wanted to enjoy this edition, especially with all the useful bits they started to produce to support it. I didn’t mind the “miniature game” feel of combat. I didn’t mind that it felt like a MMO, with powers that regenerated over time. What I could not get past however was that we never felt a sense of story while playing. The rules are so wrapped around the tactical interactions that even social interaction with NPCs was reduced to challenges. I feel that this version of D&D was the weakest of the 3 I have played, but I look Forward to D&D Next which is currently being playtested. For several months we stopped calling our game nights “Game Nights” and started calling them “Zombie Nights”; that’s how much our group enjoyed the game. Not because it was full of depth and difficult choices, but because it was dripping with theme, had it’s own twisted sense of humor, and you get to annihilate zombies. The part we enjoyed most was always the social aspects, and the opportunity to dog-pile whoever was getting closest to the chopper (in all our games we only ever had a player win by accumulating zombies ONCE). Our games always devolved into screwing the winner, which is just how we liked it. So if your looking for the Mona Lisa of boardgames, keep looking, but if your wanting the Sunday funnies, this may be right up your alley. Don’t get me wrong, I enjoy the game very much, but it’s not the kind of game I gather people together. This is a great filler game though, to be thrown when you’ve got a few minutes to kill and have the urge to hunt some humans. The expansion adds three new dice: two horror movie cliches, and Santa Claus of all people. The rules could be written a little better, but for the price the game is a great way yo fill the moments between things you really want to do. So I’ve played L5R off and on for the better part of a decade now, starting with Gold Edition. I played heavily through the following Diamond Edition’s arc but work and life have put me on hiatus for the most part since then. I continued to follow L5R over the years though, and when they redesigned the card faces I could not pass on purchasing and picked up a bunch of Celestial Ed. decks. I still was not able to play much, but it felt great to support AEG and L5R in what little ways I could. Fast forward to Emperor Edition. As soon as I saw how much they were packing into the clan starters I had to pick some up…. ALL of them in fact, so I will be basing this review primarily on the content of those decks. To start the packaging is AMAZING. FAR superior to any other CCG on the market today. The external box is heavy duty card stock and intended to be reused. Inside are the individual decks, each of them also constructed of the same high quality card stock and capable of holding a sleeved tournament legal deck. It’s such a little thing, but it just goes to show how much value AEG wanted to provide with this product. Now for the SWAG. Since the boxes are designed for sleeved decks there is a bit of extra space inside as the deck included is not sleeved. In keeping with providing player value AEG chose to include not one or two additional boosters, but THREE. These packs in addition to the included deck help to offset the initial cost of the Starter, which retails at ~ $25, but can be found less expensive online if one were so inclined. AEG didn’t stop there. They also included clan specific tokens to help ease game play, and immediate story interaction with the ability to vote on a personality from your clan to become experienced (though the promotion has already been resolved it was very cool nonetheless). Now the only thing against the Emperor Edition starters stems from the game itself. L5R can be very daunting to approach for new players. If a player is not very familiar with CCGs then it can be hard for them to wrap their heads around some of the more intricate interactions. There are so many little nuances in the game that make for a very steep learning curve that may turn some off. These intricacies however are one of the games strengths. Once a player has the basics down a whole world of possible gaming opens up. Does one play the latest tech to win as often as possible? Do they support one clan fanatically? Do they strive to win through enlightenment? Do they play specific cards in their decks to affect the ongoing story? These are but a few of the things that keep the rabid fan base coming back for more. In closing if your primarily a boardgamer perhaps look into L5Rs fixed multiplayer game War of Honor which is also jam-packed with value. If you’re a lapsed L5R player now is a great time to jump back in. If your new to CCGs or are looking for something new, L5R has perhaps the best support and community of any CCG ever produced. As the game reaches the late stages real estate becomes very contentious. Often your statistically as likely to roll the lines to get those difficult unclaimed tiles as you are your opponents easier tiles. Just be careful to snag them from other players before they complete that region, otherwise their off limits. Once you get a few adventures in you begin picking up all sorts of fun stuff for your character, When you die however a lot of that swag gets put back into the box. We have instituted the following rule: If your character dies, but any other characters survive and complete the scenario, they haul you and your gear back to town to recuperate. We only rebuild characters in the event of a full party death (which has happened). This rule might not be for everyone, but it does take the sting out of death and make it more fun for us, and in the end if you’re not having fun, what’s the point of playing? We play both the Pathfinder Adventure Card Game and Pathfinder RPG in our home. We have picked up several Pathfinder Pawns sets to use for our RPG nights. The Codex Pawn boxes have all of the Iconic heroes featured in the PACG: The original 11 in the NPC Codex and the rest in the Inner Sea Box. We use these to easily Identify which character is where while conserving table space by not using the character cards. Even if you don’t have Pathfinder Pawns available any miniatures or tokens eases play and makes gameplay quicker, at least in our experience. We always felt Zombies can run a little long, especially when you begin throwing the expansions in. We have always shuffled the helipad into the bottom half of the deck. It ads an element of surprise and makes the game shorter. Of the two win conditions collecting 20 zombies is bar far the inferior option. Players are crazy-mortal in this game and each time you die you drop half your zombies. Secondly, if your group is anything like mine they will move waves of zombies away from a player clearly running for zombies. In all the years we’ve played we’ve only ever had one player win by Zombies, and that was purely by chance. If the DM skins a familiar story with his world it’s easy for the players to immerse themselves, mostly because they already know the story (even if they don’t recognize it). It also saves the DM time. Being the DM can be a thankless endeavor. There’s a lot of prep time involved, even for a short game. If someone has already done the legwork of framing the story the DM can flesh it out as he sees fit. I’m not suggesting the DM should create a paragraph by paragraph remake of Tolkien’s work (unless of course that is what the group is into), but taking certain elements can really spice up a campaign. Many players have a habit of copying the new hotness and running Pro tour decks at the local level. This can be to a clever player’s advantage. First, if you have a lot of net-deckers in your meta it means you can tune your deck to 2-3 decks rather than an entire field. Second, some of these decks can be very difficult to pilot, and although anyone can build them only some have the skill to play it effectively. So if you find yourself in this situation create and tune a deck that targets these net-decks, even though it might be a truthfully sub-par deck. Just remember that you cannot design in a vacuum. Plano makes a variety of small tackle boxes that have plenty of space for the components and have no trouble fitting in the massive box. This logic applies to all CCGs, but is particularly true of L5R. Learn what is being played in your local area and tune your deck to that meta-environment. Sure, Magic strategist are always going on about the meta, but in reality Magic is a game of tides. The Magic meta is truly defined only by a handful of high end players on the competitive circuit, then those decks are copied across the world by players hoping to emulate their success. By and large that is difficult to duplicate in L5R. What does well at high end or national competitions does not always translate well to one’s local scene. Say for instance that a particular Crab deck does really well at nationals, but has a difficult time against certain Honor based decks. If your local meta is defines by a lot of said Honor decks the Crab deck will be unusually weak in your meta. This may seem intuitive, but here is where L5R and Magic differ: Clan loyalty! Players tend to play one or two clans exclusively, and if you build your deck to deal with those clans specifically you’ll find much more success than if you try to copy the deck of the week piloted by the pros. We’ve all had checks where we throw a bunch of dice, but have to reroll that D8 3-4 times because the game includes just one. We went out and bought 4 of each die, each group in different colors (i.e all the D6 are red, D12 are yellow, etc.). Now when we have to roll multiples we can easily get it all done in one shot. Plus rolling a fistful is always more fun than rerolling. In our home we always assign the factions at random. I’m more of a power gamer than my spouse and given a choice of combinations I will always try to choose the most broken coupling I can. We always assign the factions randomly. This forces me to try combinations I might not have done otherwise. We thinks it’s a great way to even the playing field between players with varying gaming experience. There are a number of Monsters or Obstacles that cannot be defeated by the standard combat check. Make sure someone in the party has a way to handle them, such as thieves tools or caltrops, even if the items feel out of character. That way if one of these more difficult encounters occur you can have the properly equipped character grind the deck rather than constantly evading and reshuffling the deck in the hopes of finding the Henchman or Villain and burning through the Blessing Deck. Many players have suggested using tokens rather than the character card that comes with the box set. Taking this a bit further, if you own or are willing to pick up the Pathfinder NPC Codex Pawns it contains all of the characters for both the base game and the character add on deck. We’ve been using them since the game was released and makes it much easier for us. In addition, the NPC codex is full of awesome pawns, and you can use any of them to represent your character in game, particularly with all the new characters coming out when the Class Decks are released. We were able to get our hands on all the expansions for Heroica and added in the Microfigs from the various Lord of the Rings games to make an large game environment with lots of options for which characters to use. We also allow each person to define the role of their character, rather than follow the game rules. This lets our younger players play to their strengths while enjoying their favorite colors. Over the last 8 years or so blocks have become very cohesive and there is a lot of tournament support for block constructed and almost every draft your going to sit down for is going to be block. Many players will just shelve an older block when the newest hits the stores so they can remain focused on Standard. Those cards aren’t suddenly rotten, so why leave them to collect dust. Repurpose them into a CUBE!! This assumes that most players will have enough cards to build one, but from my experience it should not be difficult for most to assemble. Here’s my suggestion: Since a lot of foundation cards for the block are going to be at the common slot and in the large set, include 2-3 of each common from the large set. then include one each of every remaining common and uncommon from the block. This lets you keep your rares and mythics in the trade binder if you want and create a diverse set of cards to work with. Draft at will and enjoy over and over. The decks you create will not be nearly as powered as you expect from a cube, or even from a draft for that matter, but it’s a great way to get more mileage out of cards that you may not ever even look at again. ENJOY! As most players have already mentioned with few exceptions you should stick to your lord’s bonus quests, these exceptions being obvious like the Lieutenant and the one that allows you to shadow. However we’ve also found that picking up the quests that give substantial adventurer bonuses can be really swingy. You might be able to complete one off-lord quest that lets you easily complete one or more on lord quest with minimal effort. 1. Throw out the insert. While it’s nice to have those little slotted racks for all those tokens you’ll have way more space for other swag if you just toss it and sort the tokens into baggies. 2. I don’t know if it’s coincidence or not, but a set of Celestial Starters for each clan, 9 total, fit perfectly in a row. 3. Figure out how much space you would have remaining after two complete rows of decks and use the remaining space to store all your bits. What I did was assemble a simple compartmentalized insert from heavy card stock. I ended up making a slot for each clan, including Ronin, another slot for the additional tokens and Toshi Rambo, and a final one for extra cards and tokens. This all made the box extra heavy, but now I have something like 16 decks stacked in there, more than enough for loads of gaming in Rokugan. Happy Gaming! When I originally bought War of Honor I intended to keep it Celestial legal, but as I pondered it more I thought that there is no reason I can’t expand my horizon a bit more. I went through my collection and cobbled together several decks from various arcs from years past. Here’s the thing though: you can’t build your decks like you’re used to, particularly if your planning to honor run or field dishonor. There are a lot of legacy cards that basically hand out honor, far more than than in the last few years. This expanded card pool could potentially result in mismatches if you decide to run older decks against newer ones. In any case War of Honor is a great way to repurpose cards you might not have thought of playing with in a while and expand your box set. Happy Gaming! Finally have a Pathfinder group together, so we’ll be doing a bit of that. Not seeing any I recognize. It’s going to depend on several things. First: Paizo has started organized play for PACG which uses S&S as the base set. OP requires players to have their own Character deck (sold separately) to play. Each week Paizo will release a new scenario to play through, and your deck improves by adding cards from the deck itself, rather than the base set. This allows characters to grow without breaking up the base set (much to the delight I’m sure of the owner). If organized play interests you definitely take a look. Also, the scenarios are much more varied (thus far) in S&S. Additionally, all those skills that were kind of glossed over and barely used in RotR get brought more to the front. Your character’s craft skill will actually apply in many situations. Finally: Pirates, Sharks, and Owlbeartross!! I think these things speak for themselves. Just wondering why Castle Ravenloft and Legend of Drizzt are listed but not Wrath of Ashardalon? Any thoughts? I'm active duty military and play what I can when I find the time. I love certain CCGs and pick up little bits here and there. Big fan of big box wargames and strategy games. Game most played lately is Carcassonne with the family.